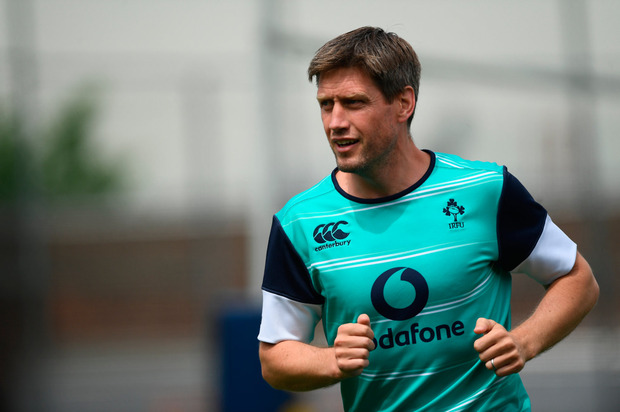 Ronan O'Gara has said that he is open to the possibility of joining the All Blacks coaching staff if Crusaders head coach Scott Robertson gets the job after the 2019 World Cup. Steve Hansen is set to leave the role after the tournament in Japan, with Robertson one of the names linked to the post. The former All Blacks forward has led the Crusaders to two Super Rugby titles in-a-row, with O'Gara brought on board ahead of the 2018 campaign as an assistant coach. The Ireland legend has earned rave reviews for his impact at the Canterbury club and speaking to New Zealand media, he said that he would be open to coming on board with the All Blacks if Robertson succeeds Hansen - or even one day taking over the Crusaders. "Everything is possible," O'Gara told the New Zealand Herald. "I'm ambitious and competitive, but I think the most important thing is if I do my job then these things look after themselves. "It would be something you'd aspire to do [being a head coach], but maybe the timing at this stage might be a bit soon. Some people might think differently. I'd back myself, like Razor [Scott Robertson] would back himself. "It'd be a fantastic opportunity [joining the All Blacks coaching staff]. The game is changing and a lot of ideas are being intermingled between the northern and southern hemisphere."